Vanuatu were soundly beaten by an organised Venezuela who ran seven unanswered goals past their Oceania opponents to claim their second consecutive win at the FIFA U-20 World Cup Korea Republic 2017 this evening. Sergio Cordova is now top of the tournament goalscoring list after securing a brace, while goalkeeper Wuilker Farinez also got on the score sheet after successfully converting a penalty in the second half. Cordova’s first goal was initially called for offside, but VAR (video assistant referee) confirmed the goal as the pass in question had come off a Vanuatu defender. 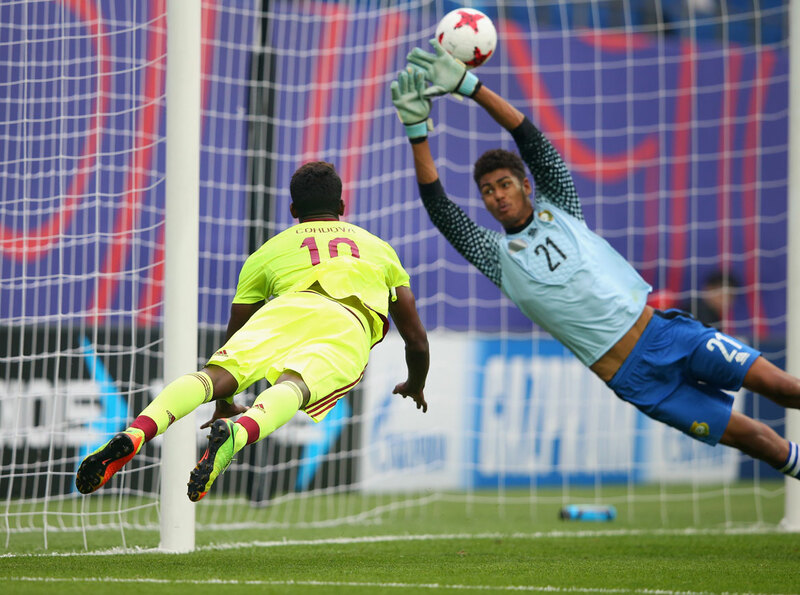 After taking a 2-0 lead into the sheds at half-time, Venezuela came out determined to stamp their mark on Group B as Adalberto Penaranda found the back of the net mere seconds after the restart. While he didn’t get on the board himself, substitute Yeferson Soteldo proved a thorn in Vanuatu’s side as tired legs tried to match the speedy attacker for pace. Soteldo found himself with a lot of space and time allowing him to find the defensive gaps and exploit them, setting up fellow sub Jan Hurtado’s goal and playing a role in Samuel Sosa’s too. Vanuatu put in a high workrate, especially in the back line, but the pace and stamina of Venezuela proved difficult for the World Cup first-timers to match. With just 32 per cent of possession and eight attempts at goal, pulling a similar comeback to what they did against Mexico was unlikely, however they dealt with the high pressing onslaught well. With a tough role to fill, goalkeeper Andreas Duch made an impressive debut despite conceeding seven goals, with numerous close range saves denying his opponents a greater tally, and causing them some frustration. Vanuatu have one last Group B match to play against Germany, with the match scheduled for 26 May at 8pm (local) in Jeju World Cup Stadium.